"All done Momma, Dada, Momma, Dada"
She said it in the tiniest, most darling voice ever. I'm secretly in love with this age - even with the "I'M NOT GETTING DRESSED!" tantrums. Wow, this gets better and better. I am sitting here in front of the computer looking at old pictures (I was actually looking for some wedding shots, but instead found a pregnancy and then the delivery folders!) I can't believe that our baby girl - pictured here at 18 weeks - is now 18 months. What the ???? 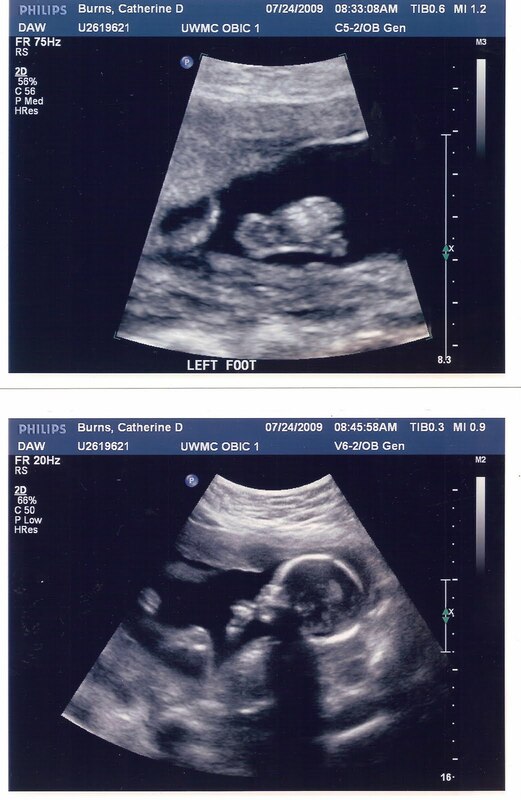 AND - I was sooo big at the 42 weeks (yes, our baby girl was 2 weeks late!) Wowza. BIG-BIG-BIG all over. I finished it! I finished it! I want to run up and down the streets singing, "I finished a smock dress for our daughter! I actually got out the sewing machine and did it." 1 sewing machine + 1 pattern book + many sewing lessons years ago in NYC = 2 days of accomplishment.